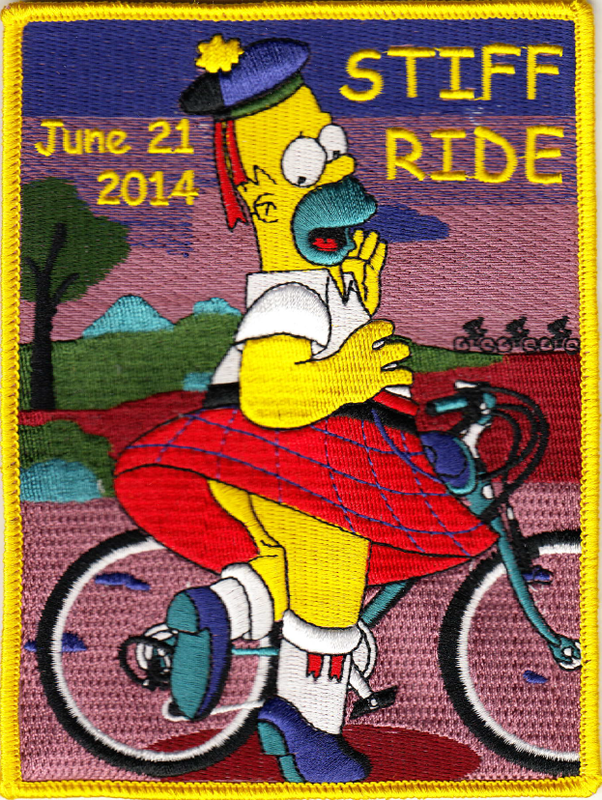 Over the years many riders have become avid collectors of Stiff Ride patches. 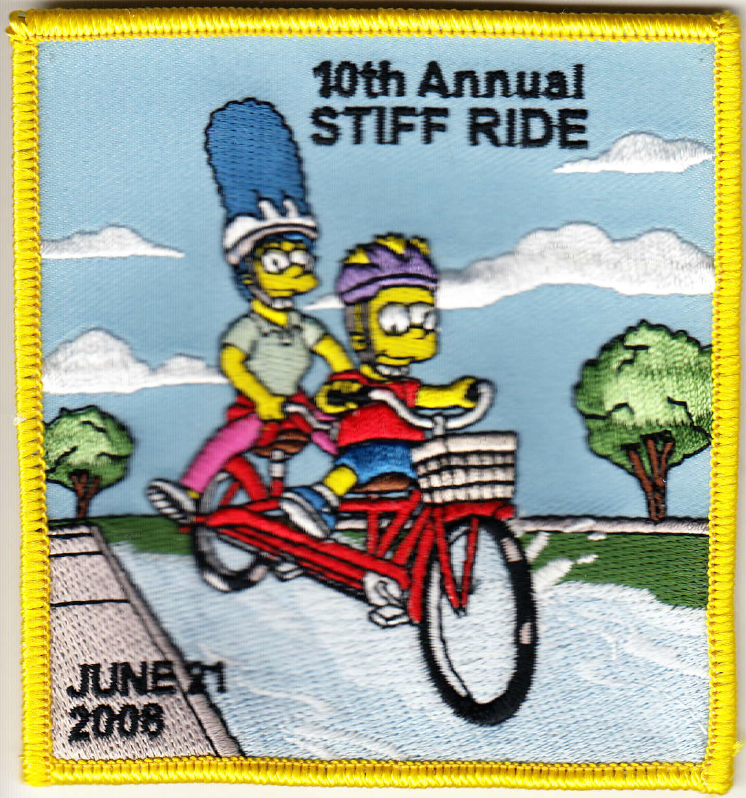 If you would like to purchase Stiff Ride patches from years gone by, send an email to dave_wedemeyer@yahoo.com. 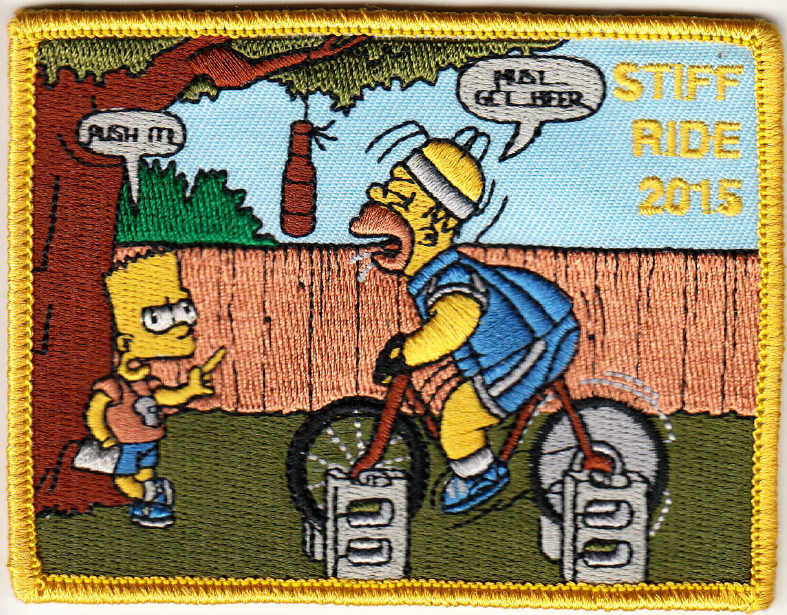 Below is the list of unsold Stiff Ride patches. 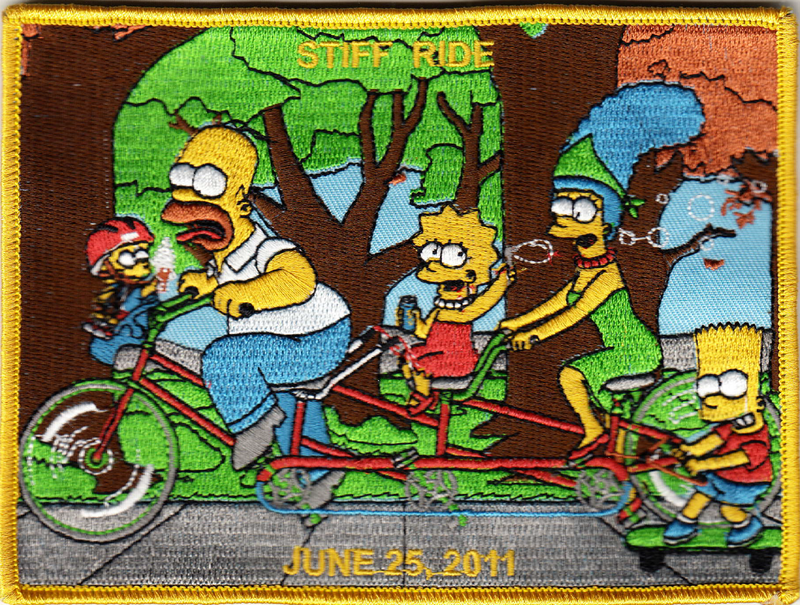 This was the first patch ever created for the Stiff Ride. Click to view larger image. 4 patches remain. $5 each, and that includes postage/handling. This patch is from 2008. Click to view larger image. 18 patches remain. $5 each, and that includes postage/handling. This patch is from 2011. Click to view larger image. 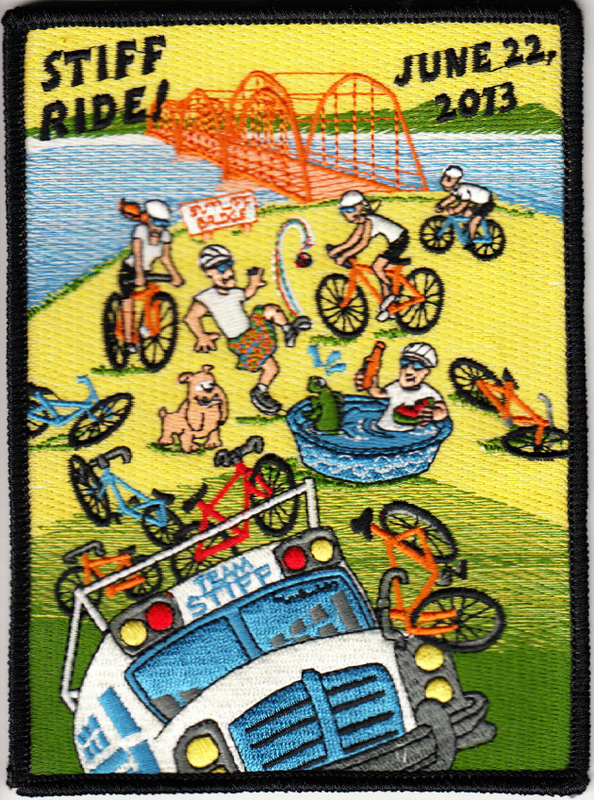 14 patches remain. $5 each, and that includes postage/handling. This patch is from 2012. Click to view larger image. 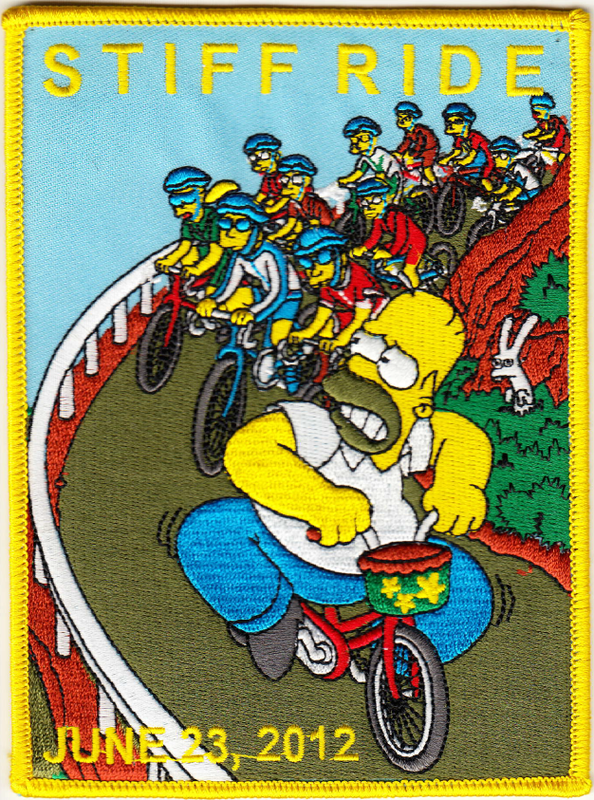 12 patches remain. $5 each, and that includes postage/handling. This patch is from 2013. Click to view larger image. 17 patches remain. $5 each, and that includes postage/handling. This patch is from 2014. Click to view larger image. 34 patches remain. $5 each, and that includes postage/handling. This patch is from 2015. Click to view larger image. 18 patches remain. $5 each, and that includes postage/handling. This patch is from 2016. Click to view larger image. 2 patches remain. $5 each, and that includes postage/handling.